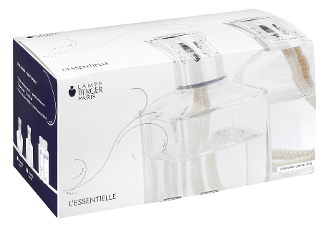 This Lampe Berger gift set includes tops, burner and instructions with180ml bottles of Paris Chic and Neutral. The bottle of Neutral can be used for cleaning without perfuming or to adjust the intensity of a fragrance by diluting it. Everything is included to enable proper operationof the lamp!